Financial trouble at Curt Schilling's 38 Studios is bad news for Rhode Island. Not everyone was thrilled with Rhode Island's decision to lure Kingdoms of Amalur developer 38 Studios to the state with a $75 million loan guarantee, but the plan went ahead, the studio set up shop, the game went out the door and all was well - until yesterday, when reports began to emerge that the studio was decidedly unwell. Rhode Island Governor Lincoln Chafee met with executives from 38 Studios on Monday night to check "on all the financials" and discuss the state of the company, which is apparently very shaky. Chafee was dead-set against the loan guarantee prior to his election in January 2011 but now says that since the deal is done, the priority is to ensure the company succeeds. As of March 15, 38 Studios has received $49.8 million from the state, but that money has apparently been sunk into the "Project Copernicus" MMO, which hasn't even been officially unveiled to the public. Doubts about the game's future grew recently when 38 Studios pulled out of E3, which happens in June. But questions about the studio have been floating around for almost a year, beginning with a PricewaterhouseCoopers audit conducted in June 2011 that expressed "substantial doubt" about its ability to stay afloat. 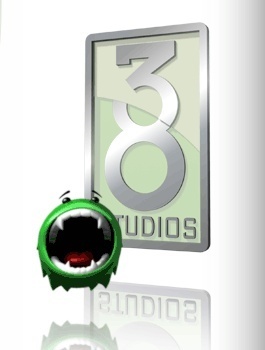 A 38 Studios collapse could result in the loss of 379 full-time development jobs and would be very expensive for Rhode Island taxpayers, who are on the hook for all the money given to the studio. Fortunately for founder Curt Schilling, however, he's already covered; the studio established a revolving line of credit with the former Red Sox ace in July 2010 to borrow up to $4 million from him, but part of the loan was used to pay him back.